Students throughout Grenada and Carriacou are the beneficiaries of 4 recent Grenlec initiatives. Completing the initiatives on Thursday, 15 October, Grenlec presented to the J J Robinson Trust to meet tuition costs for 14 students attending TAMCC. Making the presentation, Kathy-Ann Thompson, a Grenlec Supervisor, congratulated the Trust on its work on behalf of our youth. She noted that education ranks high among the priorities identified by her Company for support under the Grenlec Community Partnership Initiative (GCPI). In a similar presentation, Carlyle Ince, a senior Manager, pledged the Company’s continuing support for GRENCODA’s Student Assistance Programme (SAP). Under this programme, students receive assistance in various areas to ensure that they can attend school. SAP also focuses on empowering families to ensure that they can foster students’ success. 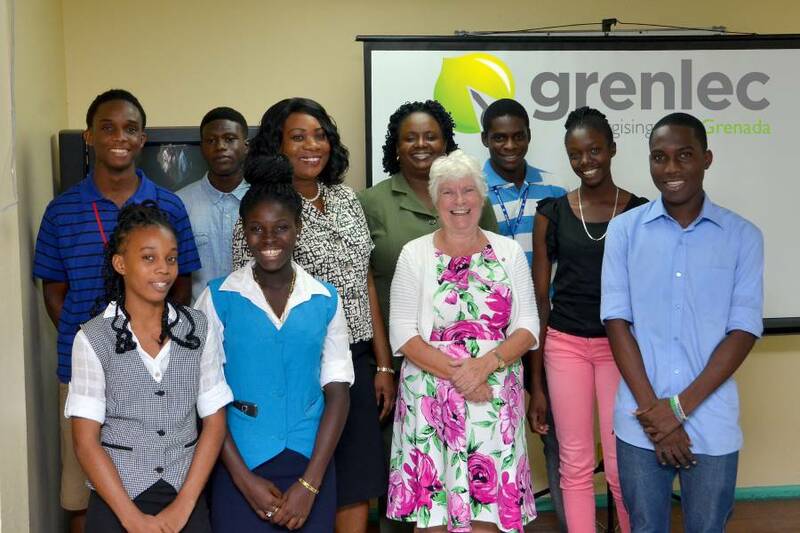 Grencoda and the J J Robinson Trust are annual recipients of Grenlec’s programme. Hillsborough Government School and Beaulieu RC School are the two other recipients. They were selected by Grenlec team members for “Back to School” projects. As part of the “Back to School” initiative, a stairway was constructed connecting the lower school to the upper school at Beaulieu R C. Prior to this project, students had to walk on the road to access washroom facilities on the upper level of the school. Like the Beaulieu RC, students at Hillsborough Government School have thanked Grenlec for improving the school environment. The project to upgrade the lunch area for students was handed over on 13 October. 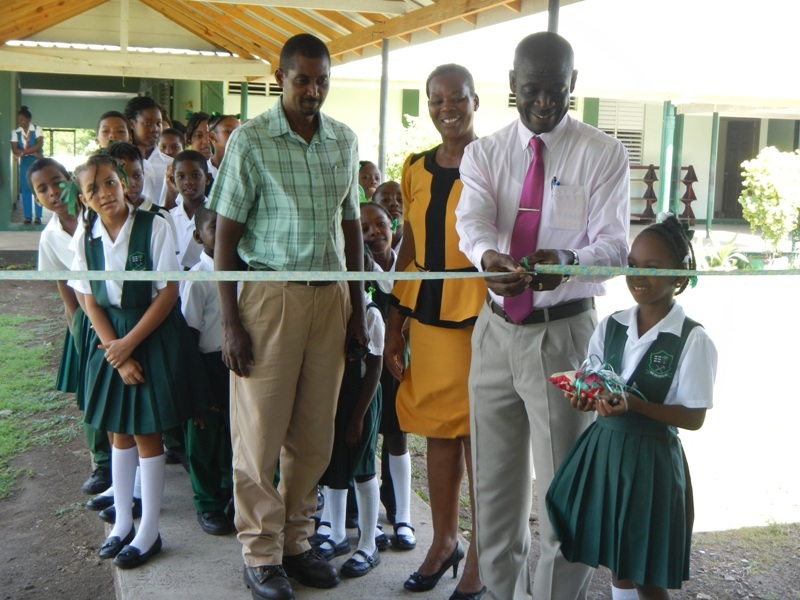 GRENLEC’s Branch Manager Wallace Collins cuts ribbon as his colleague Floyd Best, Principal Barbara Charles and students look on. Barbara Charles, Principal, says the enclosing of the area eases school officials’ concerns about wet floors and benches when it rains, as well as dust when the students are eating. The four projects were executed to the tune of just under $50,000 and are among a wide variety of GCPI initiatives that have directly benefitted deserving students throughout Grenada, Carriacou and Petite Martinique during 2015.